This week’s question: Who was the last Republican member of Congress who was defeated for voting against gun restrictions? Last week’s trivia question was: Who was the last Republican senator to announce his retirement, change his mind and run again, only to be defeated in November? The answer … Bob Griffin. 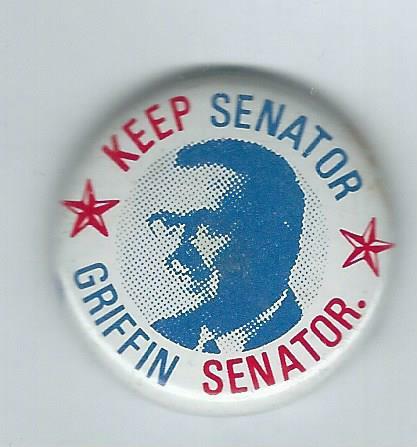 A Michigan Republican, Griffin announced in 1977 he would not seek a third term but changed his mind several months later. In 1978 he was defeated by Democrat Carl Levin. The randomly selected winner is W.L. Carson of Denver, Colo. W.L. wins the coveted Political Junkie button.